We don’t consider ourselves experts at blogging. As when we first started we had no clue as what we were doing. 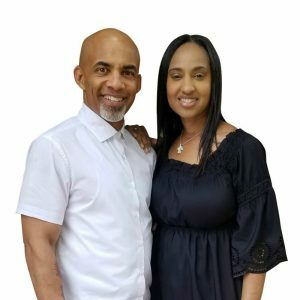 However, we knew God placed a strong desire on our hearts to share our life journey. So, we share freely, trusting that it would inspire others to live a life within the priorities of God. We also believe that all that happens to us, isn’t just about us. 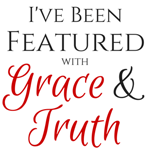 We are to share our testimonies of our highs and our lows, in an effort to help others. Therefore, we have decided to share our blogging journey and the resources we have or are using that have helped us along the way. You never know what sharing can do; it could be the information someone else prayed for. So here are some of the blogging resources we love! After blogging for about a year, we recognized that in an effort to maintain a successful blog, we were going to need some help! So we opted to take a blog course through Elite Blog Academy. When we found out about this course, we were hesitant due to the cost. But we are so grateful we went for it. 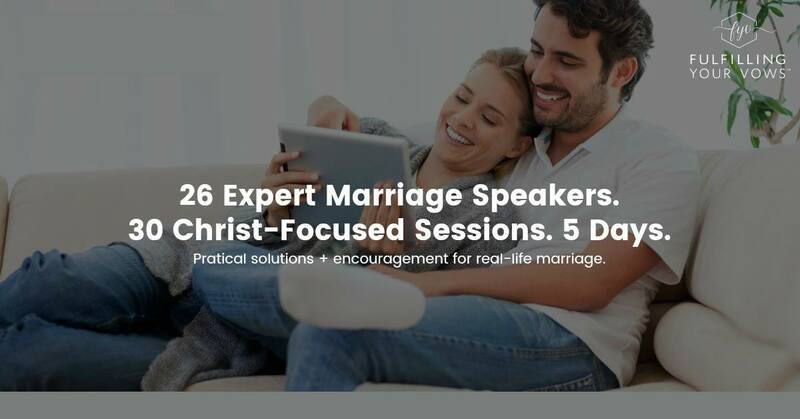 We knew God had given us a platform to share our life’s journey to encourage others. We just needed to learn how to do it in excellence, so that we could encourage as many people as possible. Although we are current students working towards finishing the course, we have made tremendous progress. From what we’ve learned so far, it has made a huge difference in the appearance of our site, our graphics, our traffic and our social media presence. We have to admit this course is not for the faint at heart. It will take an investment of time and money. But if you thought about starting a blog or you have a blog and you’re tired of spinning your wheels, you definitely want to take this course. The course is 12 Units broken into 4 Modules to help you to; refine your message, grow your audience, monetize your platform and build your business. 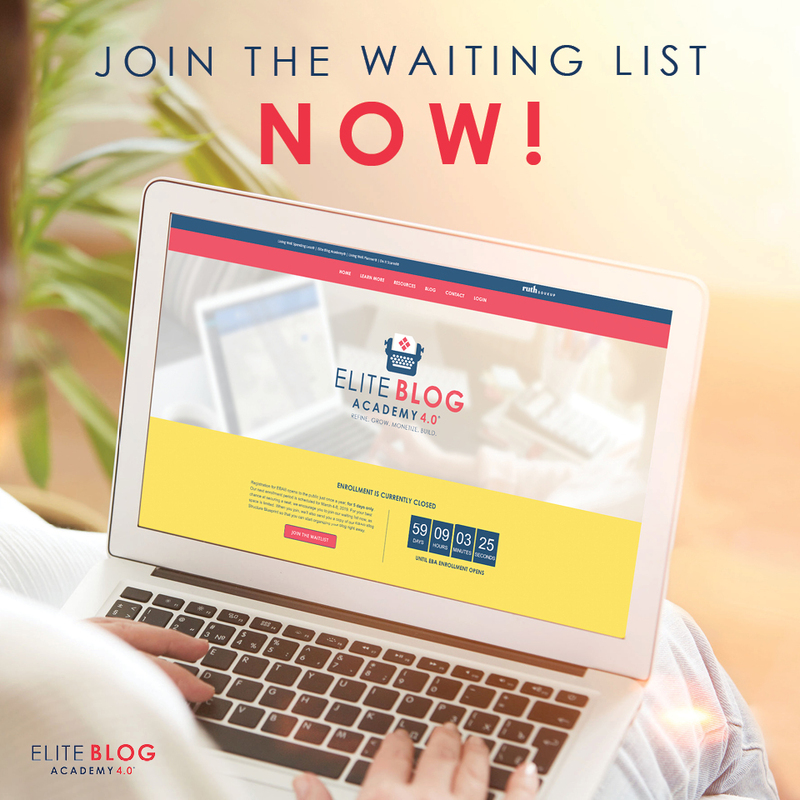 Elite Blog Academy is only open to new students once a year. And while the course is closed now for registration, you can get on the wait list HERE when the course opens next year. 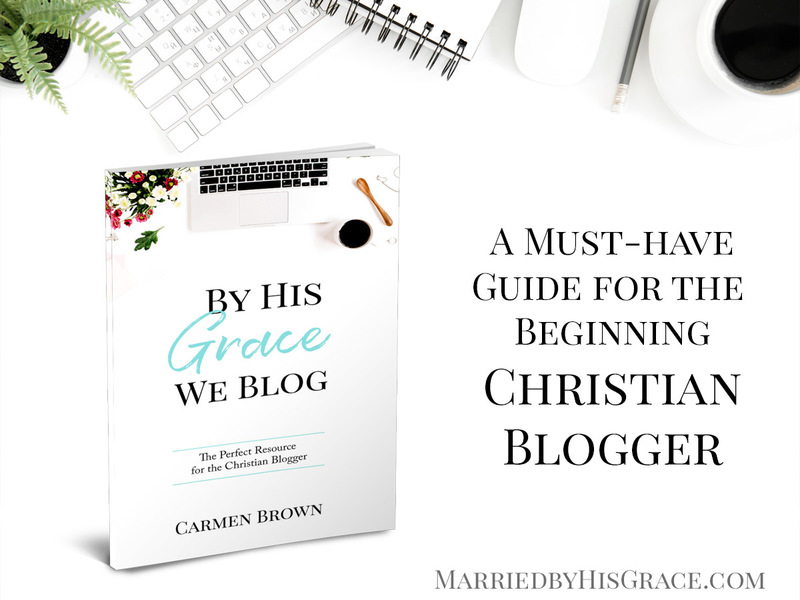 If Elite Blog Academy is something you’re not ready for, or you’re on the waiting list, another great resource is this eBook by Carmen Brown: By His Grace We Blog. Being a faith blogger changes the dynamics a little. 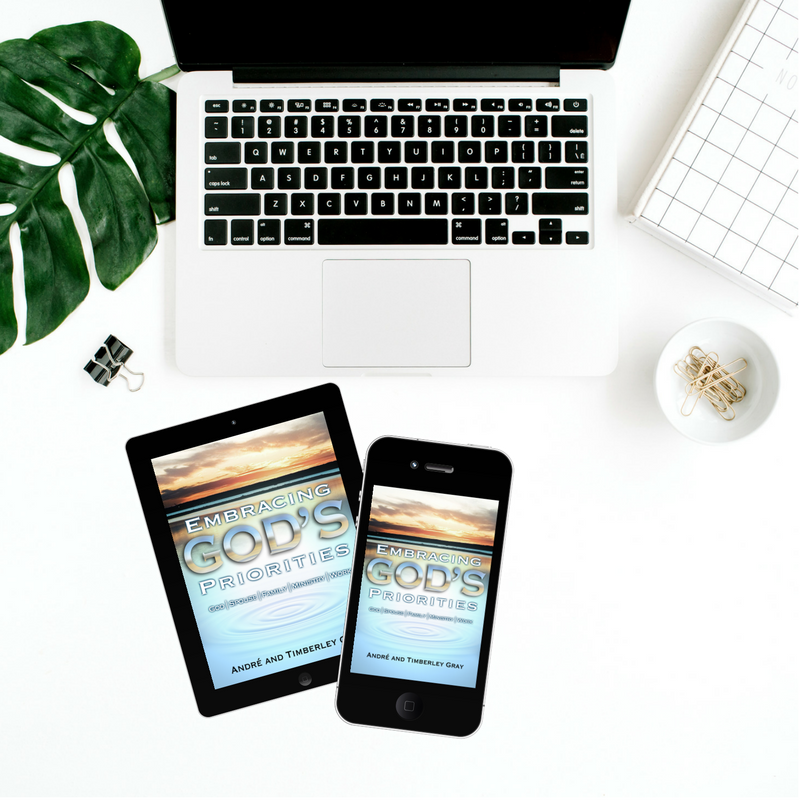 And what we love about this eBook is that it’s the right balance of understanding what comes along with blogging, while keeping God’s principles in the forefront of our blog. This eBook is your Christian Blogging 101 guide you definitely want to have in your library of resources. 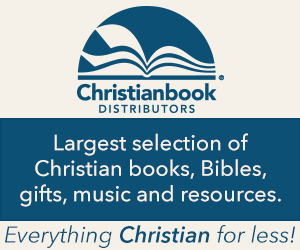 Carmen has given our Living Our Priorities community a 25% discount when you purchase her eBook from our link! You can download By His Grace We Blog by clicking here and be sure to use promo code: ourpriorities (all lower case)! If you prefer a physical paper back book copy, you can purchase it here. However the promo code does NOT apply! Your graphics will make or break your traffic on all social media platforms! We started out trying to use Photoshop but that was expensive and difficult to learn (well, at least for us). We were already learning how to blog, which is time consuming as it is, we simply didn’t have extra time to learn Photoshop. As a result, we started using PicMonkey! It’s an online photo editor that’s easy to use, and extremely affordable to edit our photos. In addition to PicMonkey, we use the free version of Canva, another online editor to help create our graphics and printable’s after we edit them in picmonkey. While we love using the free version of Canva to create graphics and printables, creating them from scratch is not our expertise! 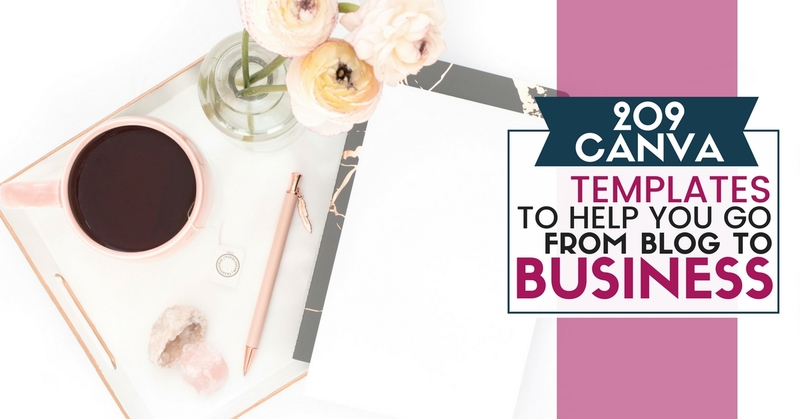 So we purchased Canva templates from Simplifying DIY Design! We highly recommend you take their FREE course or grab The Complete Bloggers Template Toolkit! 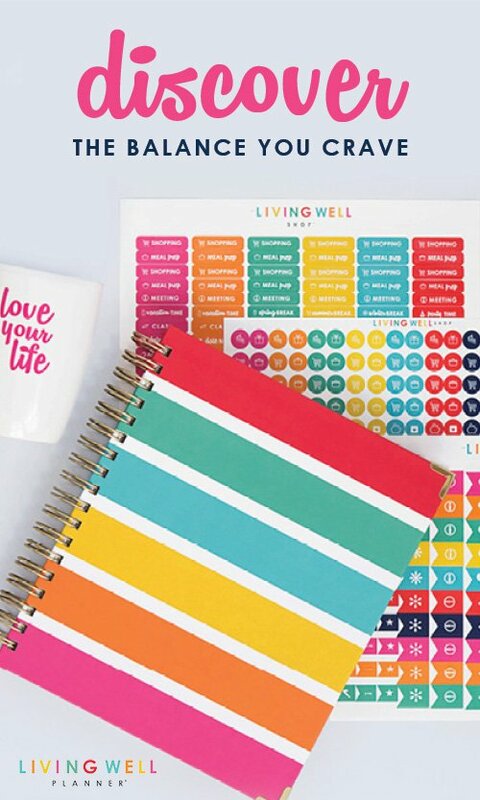 They have even given us a coupon code for our readers, use promo code: LIVING at checkout to receive 10% off! We enjoy writing blogs and creating graphics but we don’t enjoy the technical stuff too much. If you’re a blogger then you know the importance of using WordPress. And learning the WordPress dashboard can be frustrating if you aren’t familiar with it. But, we didn’t let that hinder our progress with our blog. Instead we sought help! Through networking with other bloggers we discovered, Grayson Bell from iMark Interactive to help us with the technical stuff. We cannot express how much of a blessing he has been by eliminating technical frustration and freeing up our time so that we can concentrate on what we love. Grayson offers several maintenance plans that you can check out here. We also took his FREE WordPress online crash course to help us understand how to use the WordPresss dashboard. Not only is the course easy to follow; it’s everything you need to know in one place. Not to mention, as a student of the course you can get access to a private Facebook group where you can ask technical questions concerning WordPress! That alone is priceless. You can sign up to take the FREE WordPress course HERE! Speaking of technical help, we recently switched our hosting service to SiteGround. With our previous hosting company, we experienced a lot of down time, and trying to get good customer service when time was of the essence was a challenge. Transferring our services was easy and ended up saving us money! It’s definitely worth checking out if you are looking for a new hosting company, or if you’re just getting started. *This page contains affiliated links. We only recommend products and services that we’ve personally tried and think will be an added value to our readers. To find out more about our associated programs and disclaimers click here.